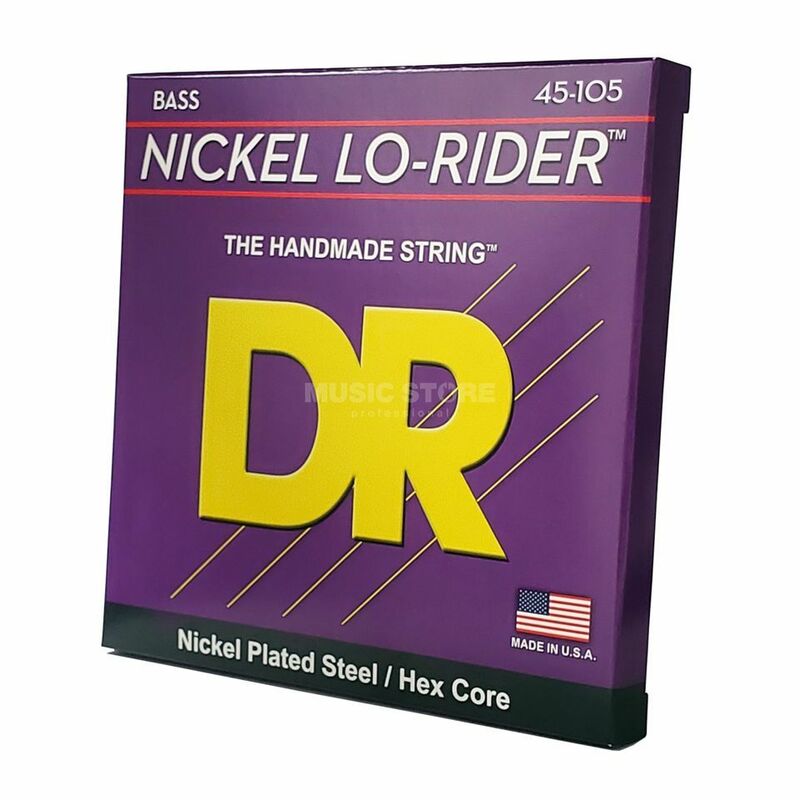 The DR NMH-45 Nickel Lo-Rider Hex Core Bass 4-Strings 45-105 are a full set of Nickel-Plated Steel Bass strings with Hexagonal Core wire and ball-ends. The Nickel Lo-Rider series includes the pronounced warm tone DR strings are known for, but are noticeably softer in feel than strings from other ranges. I use it to play funk, r&b and jazzy kind of music and it sounds brilliant! It gives life and pro sound to my Yamaha BB614 bass. Lo-Rider strings have well defined mid lows and tight bass which I really like. String to string balance is quite even. These strings last for a long time, however the sound changes a lot. After a few months of use a nice vintage vibe starts to evolve and the older the strings the better it gets in this sense. I can easily get a kind of motown sound with old strings using only the precision type pickup on my bass. I recommend DR strings to everyone!